Do you need some electrical work done around your home? Here are the top 5 questions to ask before hiring an electrical company or contractor. We cannot live without electricity: we use it in our day to day lives for lighting rooms, working computers, and running domestic appliances such as fridges, TVs, and stoves. That’s why, if you’re experiencing any electrical problems at home, it’s crucial to fix them as soon as possible. 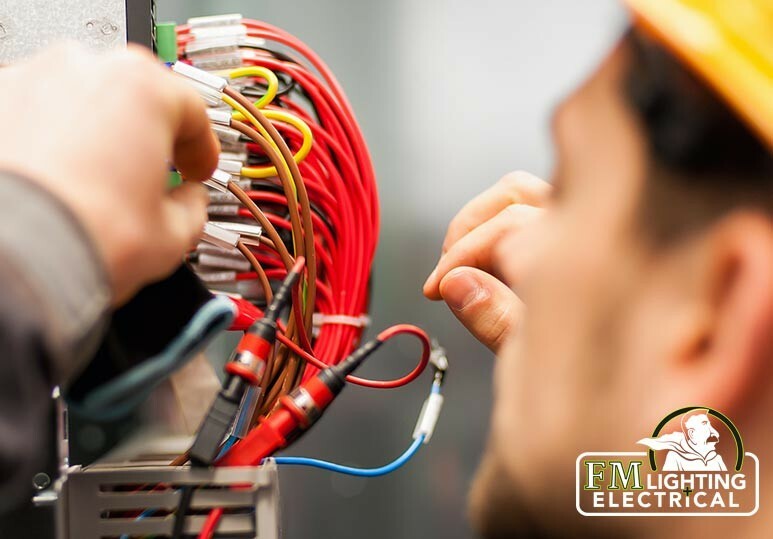 FML is a leading electrical company in Calgary and our team of electrical contractors have the expertise and equipment to safely and quickly solve any problems you may be having in your home or business. Whether you require an outlet repair or a total LED retrofit, we pride ourselves on completing the job in an efficient, affordable, and quality manner. Without the right education, skills, and experience, electrical contractors can do your home more harm than good. Poorly executed electrical work can be very dangerous and pose a serious threat to the safety of you and your family. Are You Licensed, Bonded, and Insured? You must always ask if your electrical contractor has a valid license, bonding, and insurance. This ensures that they have received the right training and necessary education required to complete the work safely. How many years of experience do you have? Within the electrical industry, experience is one of the most important factors in ensuring a professional is able to implement their education safely on the job. In addition, a professional who has been in the industry for several years is also one you can rely on for any future needs you may have. Do who is performing the work? Before you hire an electrical company, confirm whether their electricians are journeyman or Master Electricians. Many electrical contractors will allow their apprentices to help complete the work but only a licensed journeyman or master electrician will have the necessary experience and education needed to deliver the quality and reliable work you deserve. Can I see your references? References and customer reviews are very important factors to consider! If you are feeling uncertain about hiring an electrical contractor, contacting their references and checking previous reviews can help you feel more comfortable in your decision. Such reviews will tell you about the quality of work delivered and the personality of the person you are hiring. Can I have a detailed estimate? Many electrical contractors will provide you with a quote for the services to be provided prior to the start of a project, but additional issues may be found as work progresses. Make sure these additional costs are discussed prior to the work beginning so you don’t have any unpleasant surprises at billing time. At FML, we have been providing efficient and affordable services in the Calgary area for over 25 years. Our team of Master Electricians have 5-8 years of experience and are fully licensed and insured. They are committed to keeping up with advancements in the field which is why our workmanship comes with a quality guarantee. To find out more about our electrical services, including outlet repairs and LED retrofits, contact our Calgary electrical company today at 403-863-8529 or fill in our online contact form.